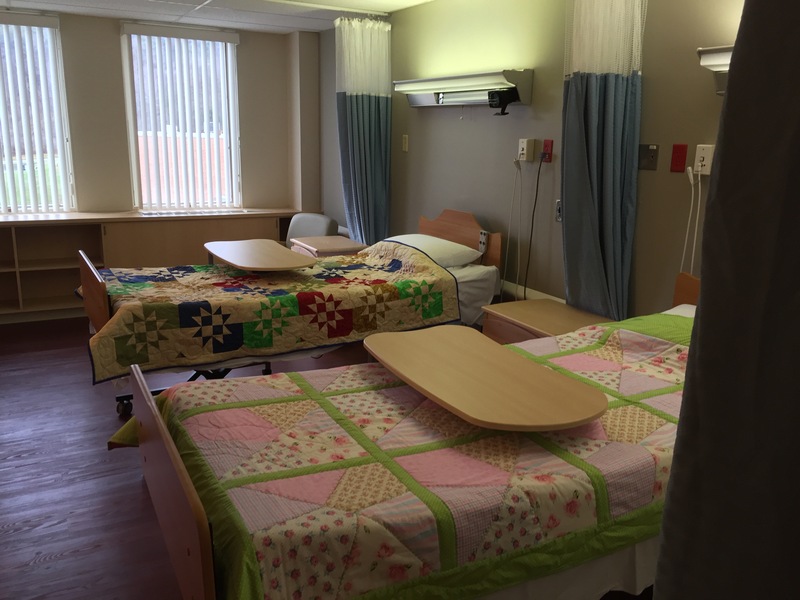 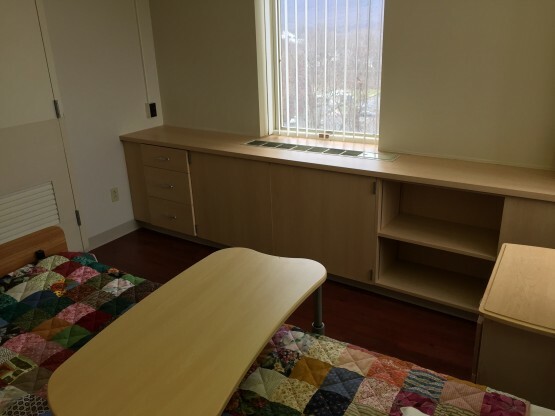 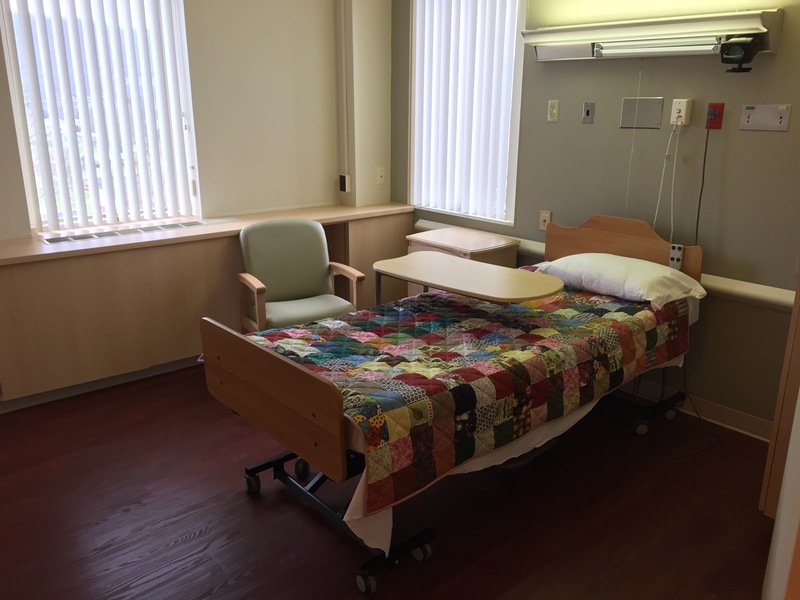 An entire wing of the Lock Haven Hospital was completely renovated to create a new state of the art dementia unit. 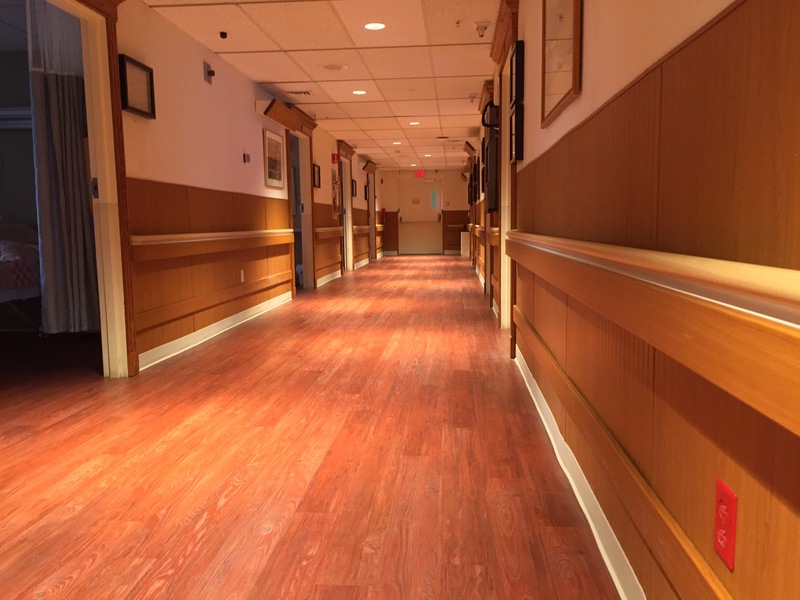 This project involved a wide range of details along with a tight timeline. From built-in cabinet re-facing to new flooring, this project involved a wide range of details. 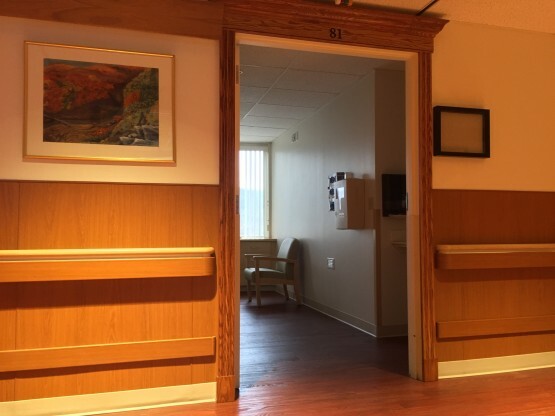 New Acrovin wall protection systems that integrated wall surface protection, ADA handrails and crash rail system were installed throughout. 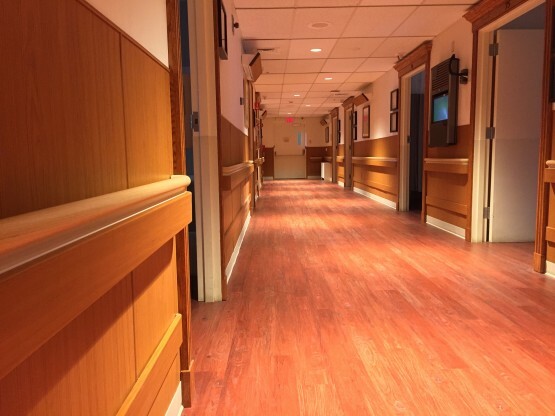 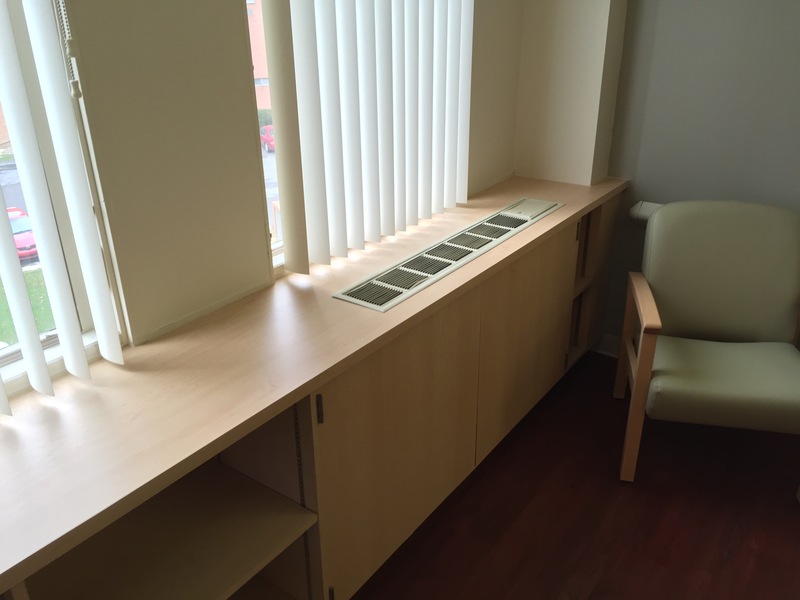 Custom wood casing was installed to add a unique look to a heath care environment.